Based on the traditional fairy tale 'The Ugly Duckling', this vibrantly illustrated story is sure to become a favourite in every home. 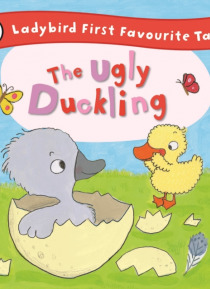 Find out what happens to the Ugly Duckling. Will he ever find anyone who loves him? Part of the Ladybird 'First Favourite Tales' series - a perfect introduction to fairy tales for preschoolers - it contains amusing pictures and lots of funny rhythm and rhyme to de… light young children. Ideal for reading aloud and sharing with children aged 2-4 year olds.